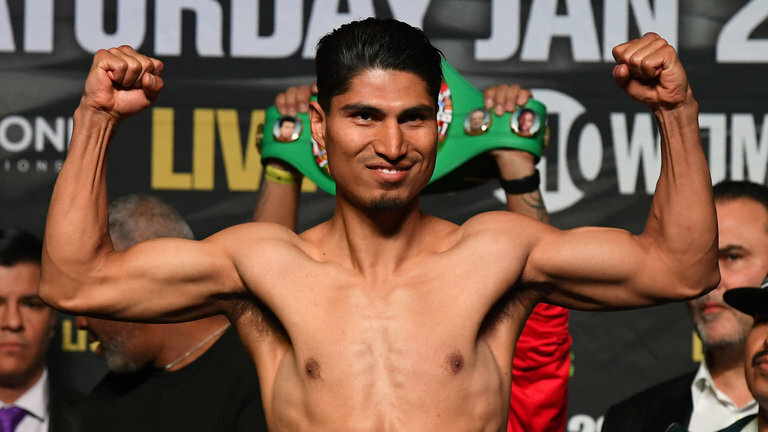 About a month ago, WBC lightweight Mikey Garcia (37-0, 30 KO’s) said he was interested in moving up to 154-pounds for a showdown against Miguel Cotto (41-5, 33 KO’s), who will retire following his Dec. 2 fight against Sadam Ali at Madison Square Garden in New York City. However, when it came time to commit, the three-division world champion was unwilling to fight Cotto, who currently holds the WBO junior middleweight title. According to multiple sources reporting to ESPN, Garcia was offered a fight with Cotto, but only if he signed a four-fight deal with Golden Boy Promotions. Garcia would have earned $2 million to fight the four-division world champion plus a bonus in the $500,000 range if he were to win the fight. Golden Boy Promotions President Eric Gomez added that Garcia could have also faced WBA lightweight titlist Jorge Linares and the hard-hitting Lucas Matthysse. All of this is very intriguing for a fighter – money, exposure, and fights. However, Garcia, 29, is also human. We have seen boxers bite off more than they can chew before and the effects, whether short-term or long-term, are devastating. The most recent example is Roman Gonzalez (46-2, 38 KO’s), 30, of Nicaragua, who won world titles in four different weight classes before he was brutally knocked out by Srisaket Sor Rungvisai in September. He made his HBO debut in 2012 before a crowd of 12,372 at the Forum in Inglewood, California, in defense of his WBC flyweight world title against Edgar Sosa. After blowing him out in two rounds, Gonzalez picked up impressive victories over Brian Viloria and McWilliams Arroyo and jumped to the super flyweight division. He defeated Carlos Cuadras on points to win the WBC title, but it appeared the fight took a lot out of him. Then, this past March, Gonzalez lost a controversial majority decision to Rungvisai in a fight he seemed to win handily. Gonzalez looked utterly shot in the rematch and after considering retirement wants a shot at Kal Yafai’s WBA title, a potentially harmful decision. Garcia is an incredible fighter, but as exemplified by Gonzalez, even the best can fall, and when they do, it isn’t pretty. Moving from 135 to 154 in less than a year seems almost asinine. Perhaps Garcia could have beaten Cotto, maybe not, but even if he were victorious, there would still be three fights remaining on the Golden Boy deal. Linares is no slouch. He has won his last 12 contests, including five title defenses. Furthermore, Matthysse has the power to knock out every opponent he faces. Longevity in boxing all depends on how much punishment you take, and how much you take depends on how you to decide to fight. Ultimately, Garcia decided not take the bait. He is truly his own boss and was unwilling to sell his soul for a big fight.